Made For Any Phone (10) ? Unitron is a Canadian hearing aid manufacturer headquartered in the Waterloo region, near Toronto. It's one of only a few major hearing aid manufacturers based outside of Europe. While not quite as large as the "big six" juggernauts that dominate hearing aid sales worldwide, Unitron has made a name for itself by focusing on customer needs and ease of use. Established in 1964, the company now sells hearing instruments and accessories in more than 70 countries. 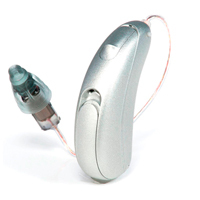 By the year 2000, Unitron had grown to become the seventh largest hearing aid manufacturer in the world, when it was acquired by Sonova, a global leader in hearing technology and maker of Phonak hearing aids. What this means today is that Unitron benefits from technological advancements shared with its parent company, while continuing to pursue unique innovation of its own and a customer-focused culture. The true hallmark of Unitron hearing aids is value for money. Unitron seems to understand that giving hearing aid wearers what matters the most makes purchasing and wearing hearing aids a more satisfying experience. It’s not that Unitron hearing aids don’t include as many features as other brands, because they do. Unitron just prioritizes features a little differently than some others. For instance, you can pay a lot for the highest level of noise reduction, but no technology helps more to make speech easier to understand in background noise than a remote microphone. Difficulty hearing in background noise is the number one complaint of listeners with hearing loss, yet Unitron is the only manufacturer to include wireless remote microphones, Bluetooth streamers, and other accessories at no extra charge with the purchase of hearing aids. Something else that matters to many hearing aid wearers is great design - not just for the sake of good looks, but for comfort and ease of use. Unitron's Tempus Moxi Now is the world's smallest wireless RIC-style hearing aid, and the design of the entire line of Moxi hearing aids is truly second to none. They're tiny, cute, and pleasantly contoured, with a smooth finish and no extraneous switches or buttons sticking out. The design is so good that they won the iF product design award in 2014 and the prestigious Red Dot Award for product design four years in a row, from 2014 to 2017. These awards reflect not only the appealing aesthetics of the hearing aids, but also their functionality, durability, and comfortable ergonomics. 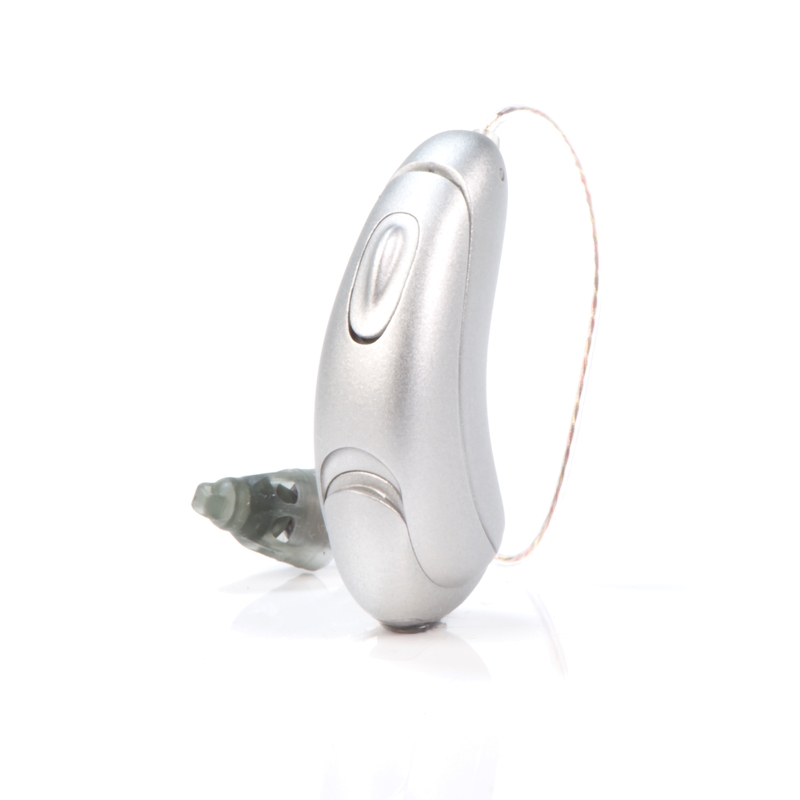 Hearing aids built on the Tempus platform offer Unitron's latest technology. As with other hearing aid brands, features vary based on the performance level you select. In Tempus hearing aids, such as the Tempus Moxi Fit, Unitron offers five performance levels: T500, T600, T700, T800, and TPro, where T500 is the least advanced option and TPro is the most advanced. The full feature set with a wide range of automatic listening programs really begins at the T700 level. The T500 level is a basic option with mostly manual control, and is best suited for quiet listening conditions. It does have adaptive directionality, however, and is still a good budget option. In the sections below, you'll find information on Unitron's current and most popular hearing aids models, along with pricing and feature information so you can determine which Unitron hearing aid is appropriate for you. 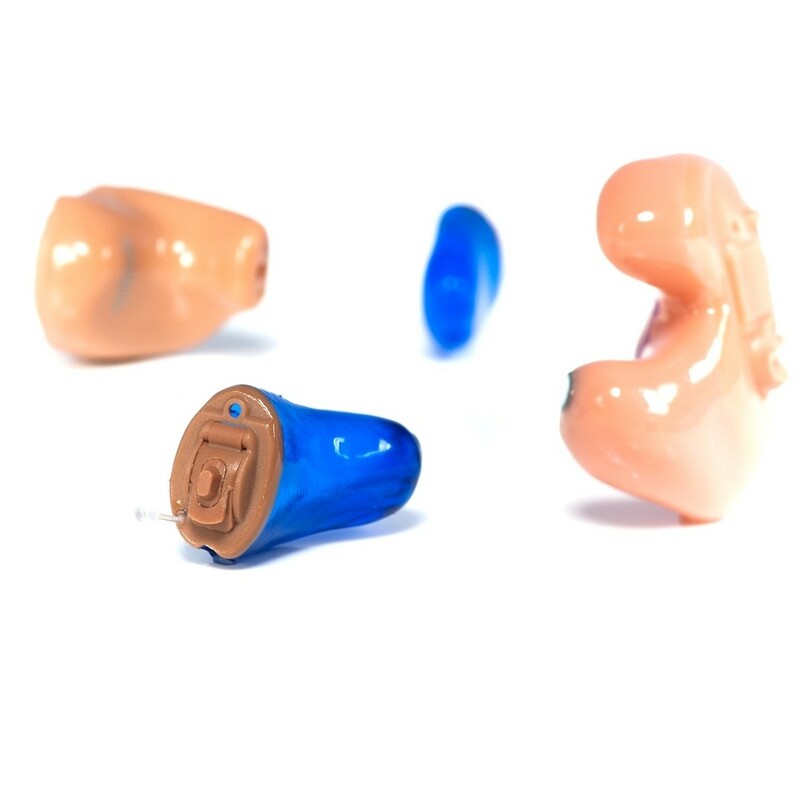 If you're simply looking to get your Unitron hearing aids repaired, or looking for Unitron parts, like wax filters or domes, feel free to give us a call and we'll point you in the right direction. Otherwise, feel free to review the popular models below, and at the top of this page you'll find links to each Unitron hearing aid model, along with prices, features, and online ratings, and more in-depth Unitron reviews on each product page. The Tempus Moxi Fit is an award-winning RIC-style hearing aid with a size-312 battery, push button control, and a telecoil. 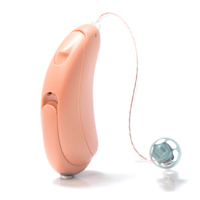 It is also available with a rechargeable battery as the Moxi Fit R. Compared to its predecessor, Tempus Moxi Fit is 50% more accurate and 36?ster at locating speech. You will get the most from this update at the T700 level and above, which include a wider range of automatic features. Examples include: Spatial Awareness processing to make it easier to recognize the location of sounds around you, up to seven classes of listening environments, and SpeechPro speech enhancements for a more natural sound quality. Other features found across the performance levels include wind noise reduction, adaptive direction microphones, and feedback cancellation. Tempus Moxi Fit are compatible with Unitron's wireless accessories, for streaming audio from your TV, phone, and other sources. Better yet, they are included at no additional charge! Choose from two remote controls, the uStream or uDirect 3 Bluetooth audio streamers, uMic wireless microphone, and uTV 3 TV streamer. For basic hearing aid adjustments, you can also use the uControl app for Apple iOSTM and Android mobile devices. Great style, ease-of-use, and ultimate comfort in an ultra-compact package are your priorities. You want the benefit of wireless accessories and Bluetooth audio streaming without additional costs. You appreciate quality, but don't want to pay extra for special features you don't need or won't use. Tempus Moxi All are BlueTooth enabled hearing aids made for connectivity to all BlueTooth mobile devices. These hearing aids allow wireless audio streaming directly from Android and iOS devices. You can use the hearing aids to play music from your phone, in stereo, without any wires or bulky accessories. You can also answer and end calls without touching your phone. The hearing aids transmit your voice to the phone, and you will be able to hear the caller in both ears (if you wear two hearing aids). If you have never tried hearing aids like this, you might be surprised how liberating it feels to enjoy such convenient hands-free communication. Moxi All are built on the Tempus platform, so they offer the same conversation-focused automatic programs, Spatial Awareness processing and noise reduction found across the Tempus Moxi family. These hearing aids are exactly the same as the Tempus Moxi All, but with the addition of rechargeable batteries. Using rechargeable batteries is simple, cost-effective and convenient. There is no need to fiddle with any cables or remove the batteries. Just put the hearing aids into the charging base at the end of the day, then take them out and put them on when you are ready to go. No need to worry about missing conversations when the batteries need to charge. They last all day on a single charge, and are interchangeable with standard hearing aid batteries. Tempus Moxi All Rechargeable are BlueTooth enabled hearing aids made for connectivity to all BlueTooth mobile devices. These hearing aids allow wireless audio streaming directly from Android and iOS devices. You can use the hearing aids to play music from your phone, in stereo, without any wires or bulky accessories. You can also answer and end calls without touching your phone. The hearing aids transmit your voice to the phone, and you will be able to hear the caller in both ears (if you wear two hearing aids). If you have never tried hearing aids like this, you might be surprised how liberating it feels to enjoy such convenient hands-free communication.